Andrew Getty, Knotts Bakery along with Jenny McNeill, RUAS getting ready for the Knotts Young Event Horse Championship at the 2017 Balmoral Show. 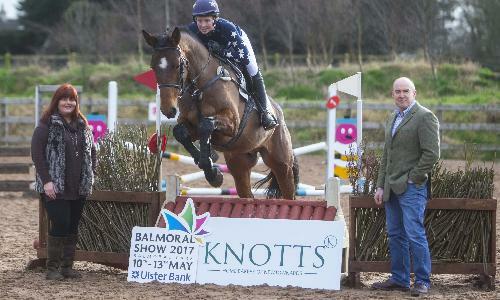 The RUAS are delighted to announce that Knotts Bakery is continuing their sponsorship of the Young Event Horse Championship at Balmoral Show 2017. 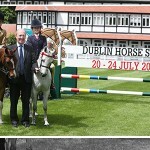 There will be four year old and five year old classes which aim to identify high calibre horses bred in Ireland with the potential to become top class eventers. 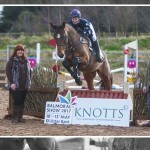 The Knotts Bakery Young Event Horse Championship has been received very well at Balmoral Show and provides a recognised platform for breeders and producers to display their quality young stock and compete for the coveted winning titles. 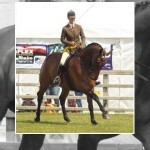 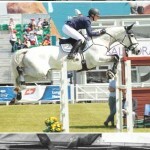 For full details consult the Balmoral Show Prize Schedule which is available online at www.balmoralshow.co.uk. 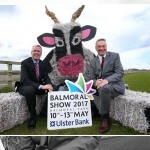 To keep up to date with 2017 Balmoral Show news check out our website www.balmoralshow.co.uk, Facebook: Balmoral Show and Twitter: @balmoralshow.